'Get Your Structured Settlement Cash Now' - Or: Get Real! "Get Your Structured Settlement Cash Now!" "Sell Your Structured Settlement and Get Cash Now!" The unfortunate truth is that you may in fact not get your structured settlement money now - unless "now" means in a while, or more precisely: in a month or two the earliest, or even a year in some instances, depending on the case in question or the state where the settlement transfer is taking place. While your reason for selling your structured settlement payments in the first place may be because you are very desperate to get some much needed cash at the moment, a structured settlement transfer can't really be done without a court-hearing and judicial order. This is a requirement by law in all states, and evasion of this law - something that is occasionally attempted by questionable factoring companies that you are advised to stay away from - is harshly punishable by a tax penalty of 40% to the buyer of the settlement payments. Because a court-hearing and approval is required, it is thus impossible to get your structured settlement cash now. First, there's the minimal time you need to contact and negotiate with a buyer and do the consultations, paperwork and agreements. This is followed by a mandatory waiting-period to allow the seller time for contemplation and possible reconsideration. Then, and only then, can a court-hearing be scheduled. And to get an appointment for the court-appearance can take from about 30 days in the best scenario to many months, and perhaps even a year in other cases. In some states, such as New York, court-hearings are known to be a long wait. It is for this reason that it's unlikely you'll get paid cash "now" for selling your structured settlement payment rights. What about a structured settlement Cash Advance? A cash advance is usually just a few hundred dollars paid out by companies in advance for selling them your structured settlement. They may refer to the cash advance as "structured settlement cash now," which again may be thought of as misleading, at least to a certain extent. While it's a nice thing to get a few hundred bucks - or whatever other promotional gift, "free $50 gift card" and similar kick-backs - in advance, it's not quite the same as getting your "structured settlement cash now." Your settlement cash lump sum may amount to much more than just a few hundred dollars, the majority of which you'll not get now. Note: I'm not saying it's necessarily a bad thing to get a cash advance. I'm only saying it's not the same thing as "structured settlement cash now." Does the cash advance meet my need for cash now? If you're really in bad need of a cash amount now at the moment, will the cash advance meet your need? Is it what you meant when looking to sell your settlement for money now? What's the "price" of the cash advance? Is there a trade-off, either in money or in service, for getting the cash advance? Is it only a marketing means by the buyer to "hook" you as a customer by offering the compelling promotion, or you'll end up with a buyer paying less than others for your structured settlement, or worse, with a non-trusted buyer? Beware! 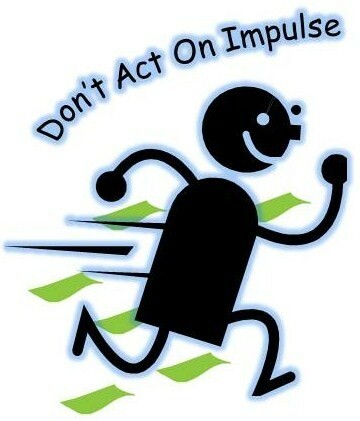 Don't just act on impulse. Don't respond to a buyer just because of cash advance offering alone. Ask for a quote, do research on the history and reputation of the buyer. Don't be shy of asking questions. If you end up selling your settlement at a very deep discount, or being mistreated by a buyer, this may be too heavy a price to "pay" for getting the cash advance. It may not be worth it. Is the buyer honest and reliable? This may provide a pointer. Did you see an ad by the buyer offering to "get your structured settlement now," only to be advised by their website (or representative by phone) about an offer to get some cash in advance? I would not think of a practice such as this as being quite straight-forward and fully honest. What does it say of the integrity of the buyer? Would you still lend them your trust? If they could afford to employ misleading tactics now, how would they be treating you later on? Would they be completely fair and reliable with you? Think about it. To conclude: "structured settlement cash now" may not be a reality, at least not in the true sense of the world. There's a time period to wait before you can get cash for selling a structured settlement. A cash advance offer may appeal to your impulses of provide partial financial relief, but beware of the trade-off, and at any rate, it may not be what you meant by looking for structured settlement cash now. Annuity CashOut › Structured Settlement › "Cash Now"